No. 1 Soccer Camps is pleased to announce our Founder and President Dr. Joseph Machnik has been inducted to the very prestigious National Soccer Hall of Fame, Class of 2017. 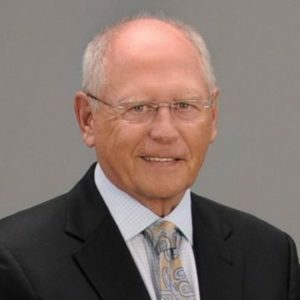 Often referred to as “American Soccer’s Renaissance Man,” Dr. Joe has succeeded at every level of soccer in the United States. 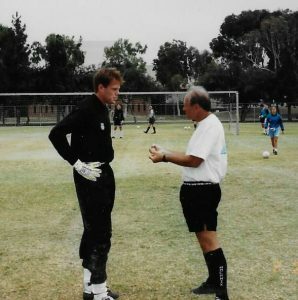 Universally heralded as a visionary for his implementation of curriculum, methods and procedures for training of Goalkeepers at every level, Machnik’s methods are utilized today at fields and in stadiums all around the world. His influence has been felt by over 100,000 players, staff and families who have been part of his No. 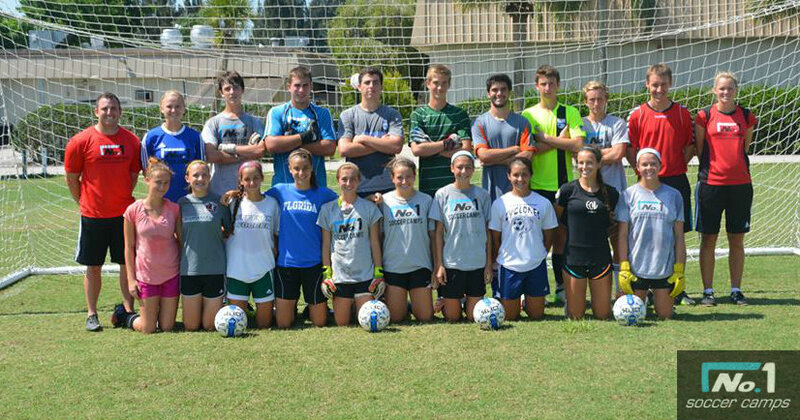 1 Soccer Camps, currently in its 41st year of running soccer camps throughout the United States. On behalf of No. 1 Soccer Camps, our directors, staff, campers and families, we send our sincerest appreciation for all that Dr. Joe has done for soccer in the United States. We congratulate Dr. Joe, his wife Barbara, daughters Janine and Collette, and the extended Machnik family for this amazing accomplishment. Coached LIU to the 1966 NCAA championship game — as a 23-year-old. He was a member of the 1965 US Open Cup champion New York Ukrainians. Coach Of the Men’s and Women’s Soccer Team at the University of New Haven. Director of referees for three leagues – Major Indoor Soccer League, Major League Soccer and National Premier Soccer League. Coach of the New York Arrows (MISL). Commissioner of the American Indoor Soccer Association. A FIFA and CONCACAF Match Commissioner. Current Rules and Match commentator for FOX Sports. What Makes No. 1 Soccer Camps Number 1? It’s not just a name. No. 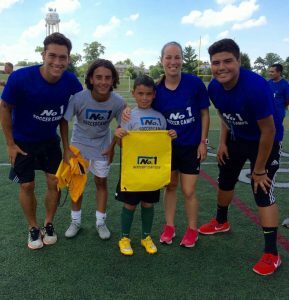 1 Soccer Camps is #No1ForAReason. Several reasons in fact. Our players, staff and training are just a few things that have made our soccer camps a leader in the soccer industry for over 40 years. In the 41+ years of being the most trusted name in soccer camps, over 80,000 players have come through our system. Some have signed professional contracts as players and coaches others have played for National teams or won the NCAA title. Our players are the driving force behind our camps and have set the high standard! At any of our sites you will find the highest quality staff alongside current college players, A-licensed coaches and coaches of current National Team players. Each week our staff coaches complete a 75-point evaluation and personal development plan for each player at camp. You will not find this evaluation or this level of quality coaching anywhere else! If you have ever wondered about the roots of No. 1 Soccer Camps, you need to start with Dr. Joe Machnik. Since 1977, the “Machnik Method”, a distinctive soccer training method that is universally recognized and used today. Our unique “Go to Goal” curriculum with modern methodologies, we offer five distinct training levels and programs for a unique week of soccer education for field players and goalkeepers of every age and ability level. At No. 1 Soccer Camps, our mission is to provide the most valuable experience possible using instruction and positive reinforcement in match related games and situations regardless of which side of the ball the camper plays on in a mutually satisfying atmosphere where learning takes place in a spirit of camaraderie; goalkeeper and striker, boy and girl, staff coach and camper, fostering soccer development and the encouragement of an appreciation of soccer’s intrinsic values. 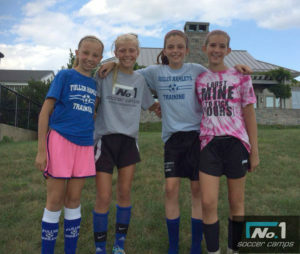 For more information on any of our camp locations from Connecticut to California, please visit our website at www.no1soccercamps.com. Author Kelly McGuirePosted on June 29, 2017 Tags College Prep, College Showcase ID Camp, College Soccer, Goalkeepers, Junior Academy, No. 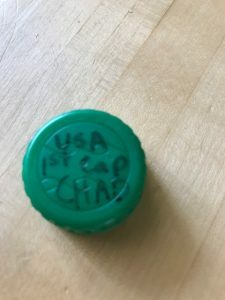 1 Soccer Camps History, No. 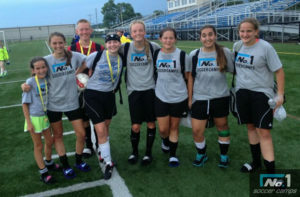 1 Soccer Camps News, Senior Academy, soccer, Soccer CampsLeave a comment on What Makes No. 1 Soccer Camps Number 1? Teacher, Trainer, Coach: What’s the Difference? In the sport of soccer, we often have teachers, trainers, and coaches who each have a specific set of responsibilities for the development of their players. Looking at each title, there seems to be an overlapping and co-mingling of responsibilities that go with the job description. A teacher can have a more formal role in the development of their players and teams. A coach helps a player or team achieve success on the field, and a trainer is the facilitator of new skills. Can one person be all three? Absolutely! If you have been fortunate enough to attend a training session that has been put on by Anson Dorrance, head coach at the University of North Carolina, former World Cup Coach and the winner of 21 National Championships, then you have been fortunate enough to have seen one of greatest teacher, trainers, and coaches of our generation. What makes this type of coach, teacher, and trainer so special? Is it their ability to articulate the message? Their communication skills? Their intuitive nature? Their knowledge of the game? Yes to all of the above. Former professional player and current US U14 National Camp Goalkeeper Coach, John Amorim was one of the inaugural participants in the No. 1 Soccer Camps as a camper in 1977. At the recent Connecticut Junior Soccer Association Annual General Meeting, those in attendance were introduced to a person who clearly fits comfortably into the role of Teacher, Trainer and Coach. 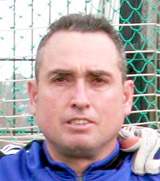 John Amorim is currently the head goalkeeper coach for the Region I ODP Staff. While watching Coach Amorim run his session, it was striking to observe a man comfortable being a teacher, a trainer and a coach – sometimes within the same sentence. Putting on a training session in a hotel ballroom is never easy. Add in the dimensions of training players that you are unfamiliar with, being surrounded by coaches who are only somewhat interested in your topic and those in place for required CEU’s, and you have an environment that is demanding to say the least. John presented a goalkeeper session that at its basic level was not challenging in its format with one major exception – his delivery. John was able to present a multi-layered session that challenged each participant at the physical, technical, and psychological spectrum at every step of the progression. His delivery was as a teacher to the coaches in attendance explaining the exercise, as a coach to the players; he was working with and as a trainer executing drills and exercises. His session was exceptional. His knowledge of the position is at a very high level. Those in attendance were witness to an outstanding presentation, by an extraordinary teacher, coach and trainer. His ability to layer each exercise with each dimension of the spectrum is a gift. The players had to think, react and make decisions related to each ball. The session was not the type of session that we often see put on by trainers at these type of events. More commonly we see sessions where the ball is constantly struck with mind numbing repetitions and little to no level of distinction as to the reason, method or purpose, other than to create the illusion of success. At this session it was clear and refreshing to see an educator (a unique combination of teacher, coach, and trainer) present a session that was simple in concept but complex in methodology. If you are looking for an individual to be part of your staff or work with your child, strive to find someone with the capacity to incorporate all the ingredients for a successful session – someone who can teach, someone who can coach and someone who can train. All will benefit from that experience. Coach Andrulis is a coach and teacher who has had the good fortune to have worked with and trained some of the best goalkeepers in the United States. His goalkeepers have played at all levels, including World Cup and national teams, professional, collegiate and club. As a 40 year staff member of No. 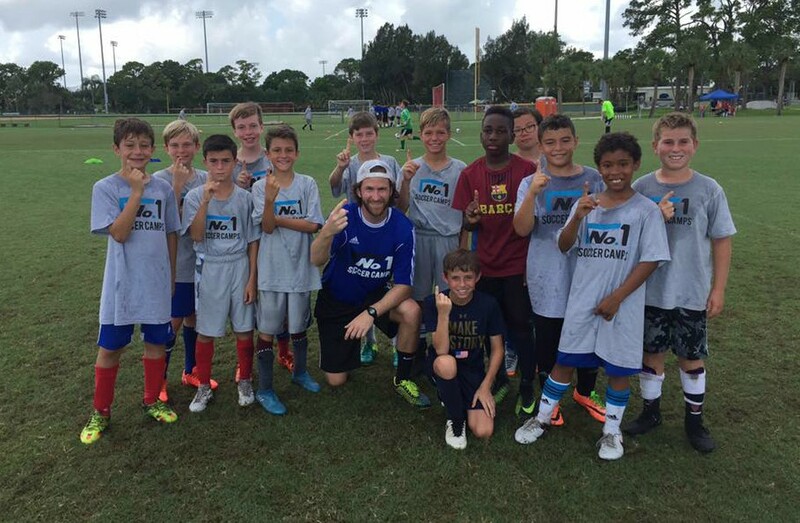 1 Soccer Camps, Coach Andrulis enjoys the opportunity to spend time working with the next great generation of players each and every summer throughout the United States. Author Kelly McGuirePosted on March 15, 2017 July 4, 2018 Tags coach, Coaching, Goalkeepers, Greg Andrulis, No. 1 Soccer Camps History, soccerLeave a comment on Teacher, Trainer, Coach: What’s the Difference? Earlier this month, Everybody Soccer, a website dedicated to following American goalkeepers, published an article ranking the 50 Greatest MLS Goalkeepers of All Time. No. 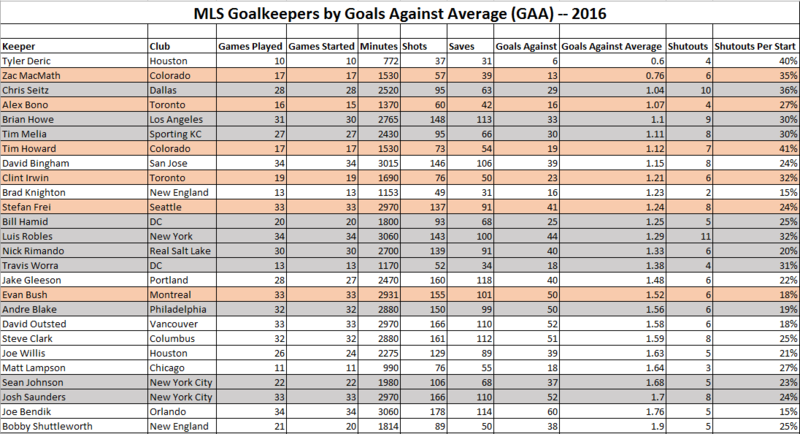 1 Soccer Camps was pleased to find SIX of the top TEN MLS goalkeepers are part of the No. 1 Soccer Camps family as former campers and/or coaches, and and four others round out the 50. No. 1 Soccer Camps has a long history with the MLS and US Soccer. No. 1 Soccer Camps founder Joe Machnik was an Assistant Coach for the U.S. National Team 1990 World Cup team as well as being a FIFA/CONCACAF Match Commissioner and being inducted into six Soccer Halls of Fames. No. 1 Soccer Camps Regional Director Greg Andrulis is the former head coach of MLS’ Columbus Crew. Our coaching staff has experience at every level of American soccer from high school to collegiate D1, 2, and 3, to Major League Soccer and the US National teams. For over 40 years, No. 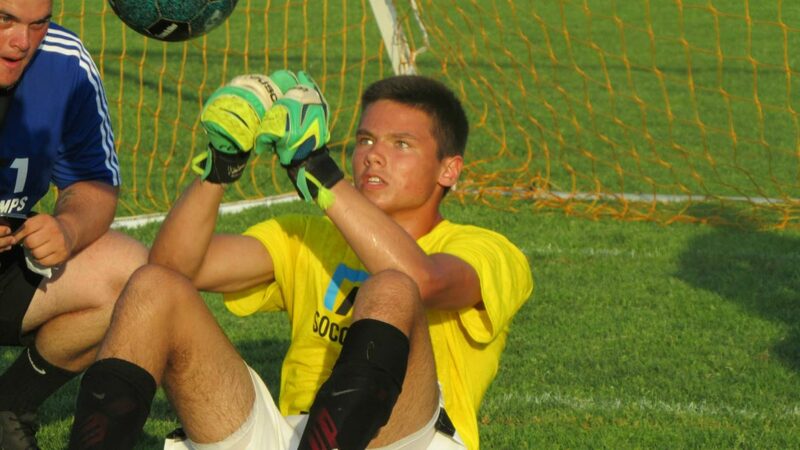 1 Soccer Camps has been training generations of quality goalkeepers and field players across the United States. To learn more about No. 1 Soccer Camps and to locate a site near you, visit our website at www.No1SoccerCamps.com. 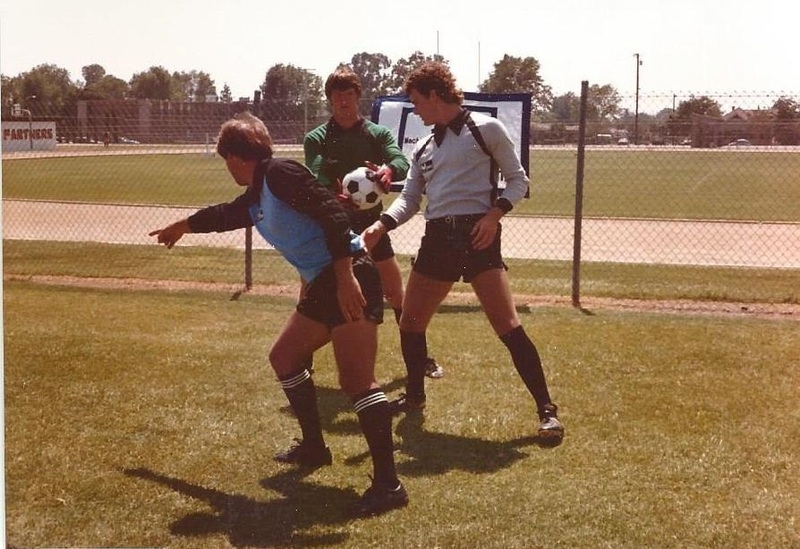 In 1977 under the direction of former college, professional and World Cup coach Dr. Joe Machnik, No.1 Soccer Camps was born. That first year, Machnik started the No. 1 Goalkeeper’s Camp with 39 goalkeepers from thirteen states participating in a one week session. Coaches John Kowalski, Shep and Roy Messing, Mickey Cohen, Peter Johnson and Danny Gaspar joined Machnik in putting the young goalkeepers through their paces. By 1995, it became evident that goalkeepers had progressed in technical areas, but tactical decision making abilities, which could only be tested by field players in match situations was missing. In addition, the lack of goal-scoring abilities was rampant in America and a striker’s curriculum was needed to provide players with opportunity to enhance technique and composure in front of the goal. Accordingly, Machnik and Kowalski incorporated field players into the No. 1 Soccer Camps program with the addition of the Star Striker’s School which was the forerunner of the No. 1 Striker Camp program. Within no time, field players came from all over the country and the world to attend the unique No. 1 Soccer Camps program. Machnik and his experienced professional staff continue to refine the program and update the methodology utilized to get results on both sides of the ball. In 2016, in response to age group and field size mandates from US Soccer, No. 1 Soccer Camps responded with steps to assist players and teams throughout this important transition. 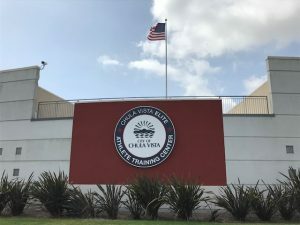 “Entering the 41st year of the camp, it’s amazing to see the positive impact that the Machnik Method and philosophy has had on the development of goalkeepers and goalkeeper coaches throughout the US and the world,” says No. 1 Soccer Camps Regional Director Greg Andrulis. “Teaching methods that have had a profound effect on the development of goalkeepers at every level from club to National team players was the hallmark of the No. 1 Soccer Camps from its early days. Now with the combination of field players and goalkeepers competing in our unique “Goal to Goal” curriculum has set a new standard for specialized training for players regardless of which side of the ball players compete on. To provide the most valuable experience possible using instruction and positive reinforcement in match related games and situations regardless of which side of the ball the camper plays on in a mutually satisfying atmosphere where learning takes place in a spirit of camaraderie; goalkeeper and striker, boy and girl, staff coach and camper, fostering soccer development and the encouragement of an appreciation of soccer’s intrinsic values. For 2017, No, 1 Soccer Camps offers Youth Academy, Junior Academy, Senior Academy, College Prep Performance Academy and College Showcase ID Camps in locations across the US. GET READY FOR A SOCCER SUMMER TO REMEMBER! Your time at No. 1 Soccer Camps is going to be one of the most memorable of your soccer career. You’ll work hard, learn from professional coaches, improve your game, and meet like-minded soccer players. In order to maximize your time at camp, we have put together some pertinent information to help you prepare and pack for your No. 1 Soccer Camps experience. Prior to the start of your camp you will receive a detailed information sheet from your Regional Director that is specific to the site that you are attending. If for some reason you do not receive this information within two weeks of the start of camp, please contact your regional director directly. Their phone numbers and email addresses are listed on our website and individual site pages. Please also note that the contact number on our website (571-428-8387) is for our national office in Virginia and can be used if you are unable to reach your RD directly. Please feel free to contact us with any questions. Your Regional Director will provide you with detailed information concerning the specifics regarding the Youth Academy Camp schedule, check in, location and other important information. Your Regional Director will provide you with the time and location for the first day of camp check in prior to the start of camp. The Medical Form must be completed by a parent and your physician. Physical exams conducted for the 2016/17 school year may be attached to our Medical Form provided all necessary information is provided. It is imperative that you remember to bring your medical form to camp. Please note that you cannot participate at camp without a completed Medical Form. The Camper Profile Form must be completed by the player and/or a parent. The picture is important and will help us to get to know the campers quickly at camp. The camp directors and staff coaches will use the Camper Profile Form as an aid in placing the camper in the right group and in maximizing their camp experience. Please bring the Camper Profile Form along with your Medical Form to camp. For all camper forms, go to our website at www.no1soccercamps.com, click on FYI, Players, then click on Prepare For Camp or simply click the links above. All roommate requests will be honored to the best of our ability. Be sure to list your roommate choice during the registration process. If for whatever reason the roommate dynamics are not working out between campers, it is important that campers let our staff know. If a camper is uncomfortable telling someone, then they should have their parents call. Things are sometimes simple to fix. • Soccer Shoes – it is NOT a good idea to bring new shoes to camp. Campers who are not staying overnight should arrive at the assigned time provided to them by the Regional Director. Dinner will be the first meal. The regional director will provide you with the time and location that your commuter should be dropped off and then picked up at the conclusion of the day. Lunch and dinner will be provided daily. We will have a location in the dorm where our commuters can relax between sessions and store their belongings. Registration is generally between 12:00 pm and 2:00 pm on opening day at a specified location. Your Regional Director will send you exact times and locations. Once on campus, signs will direct you to the exact location for registration. The first field session is scheduled for early afternoon. Dinner is the first meal of the day, followed by a second field session. The evening lecture concludes the day’s events followed by lights out. Most residential campers are required to submit a key deposit at the time of check-in. Deposits can be made in the form of cash or checks and will be returned to campers on the last day of camp at check out when the room keys are returned to us. Please make checks payable to No. 1 Soccer Camps. It will save you time during check-in if you have a check ready. Campers will be initially placed into groups based on the program that they have enrolled during registration. During the sessions on the first day, campers will evaluated on their ability, throughout the week there will be continued evaluation as the program progresses. Please know that the staff is very aware that friends come together and want to stay together in the same group. Groups and teams that signed up together will work together. As other groups are established, the staff may not know exactly which campers are friends and want to train together. Campers will be asked several times – “Is there anyone who has been separated from their friends – does anyone want to move for any reason?” This is an important question, and we take it seriously. Groups can be adjusted – friends can and should play together – this is part of the whole camp experience. If a camper does not feel right in his group for whatever reason, please let us know. PLEASE tell your camper to speak up – we want to hear what they have to say. Sometimes they need to call home and have their parents contact us for them…that’s okay too. Camp will conclude after the morning field session on the last date of camp. Specific times will be provided by your regional director. At that time, campers will receive their personal detailed evaluation forms from our coaches. Lunch will not be served. Campers can be met on the field or at their dormitory. There is no formal closing meeting with parents. Parents wishing to do so may meet with the Directors, Staff Coaches, and Trainers on the field at the end of the last session. All campers must be promptly picked up at the conclusion of camp. We will have them as ready as possible for you. Due to our national sites, many of our staff are moving onto another site and will also need to depart camp promptly. If you have any additional questions, please feel free to contact your Regional Director directly. We look forward to seeing you in a few weeks! No registered yet? Register Today! No. 1 Soccer Camps was founded by Dr. Joseph Machnik in 1977. Since then, over 100,000 soccer players and coaches have attended No. 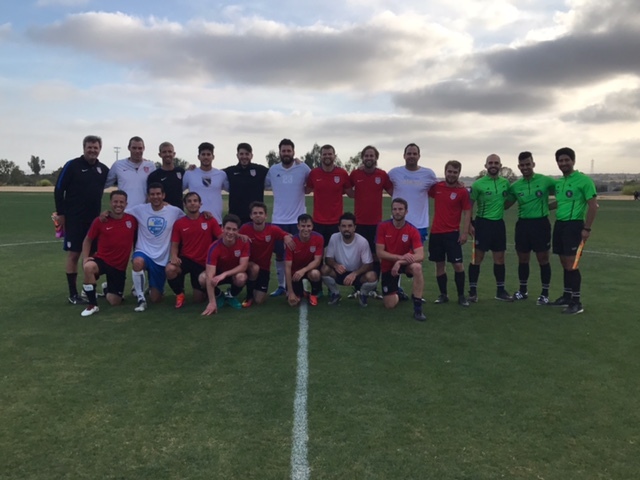 1 Soccer Camps and countless alumni have gone on to playing and coaching careers throughout the national and international soccer ranks. No. 1 Soccer Camps currently offers programs for every level of field players and goalkeepers with residential and day camps at twenty-five locations across the country.